NPR: "Supreme Court Stops Louisiana Abortion Law From Being Implemented" — "The Supreme Court, divided 5-4, has temporarily blocked implementation of a Louisiana abortion law nearly identical to the Texas law the high court struck down in 2016. The court's action, however, is only a pause. "It allows abortion-rights proponents time to bring an appeal to a newly constituted conservative court majority that may nonetheless be willing to reverse course dramatically on the subject of abortion. "Chief Justice John Roberts sided with the court's four liberal justices in voting for the stay. Justices Clarence Thomas, Samuel Alito, Neil M.Gorsuch and Brett Kavanaugh opposed the stay. "Kavanaugh's dissent deferred to the precedent of the case in which the restrictive Texas law was overturned in 2016. But dissent signals Kavanaugh's openness to state restrictions on abortion rights with limitations and without overturning Roe v. Wade outright." "In uncharacteristically extensive comments on the subject, Trump criticized efforts to loosen abortion restrictions in New York and Virginia. He also called for federal anti-abortion legislation. "Trump had been planning for several days to incorporate anti-abortion language into his speech, Politico reported, inspired by recent pushes to lift abortion restrictions at the state level. "In particular, Trump was reportedly outraged by Virginia Gov. Ralph Northam’s comments in support of a Virginia abortion bill last week, which some interpreted as an endorsement of infanticide. Trump devoted several minutes of a State of the Union planning meeting on Tuesday to a 'diatribe' about the comments, according to Politico." 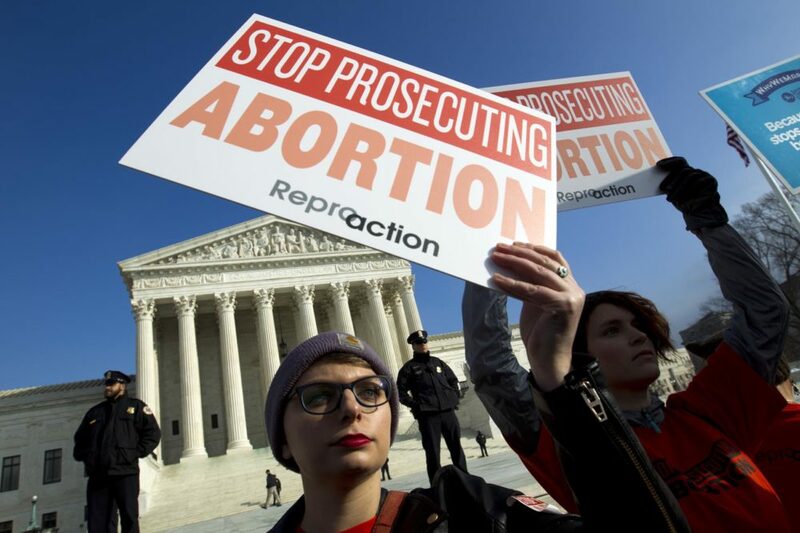 Associated Press: "Anti-abortion bills: Odds good in GOP states, not Congress" — "President Donald Trump's call for a ban on late-term abortions is unlikely to prevail in Congress, but Republican legislators in several states are pushing ahead with their own tough anti-abortion bills that they hope can pass muster with the Supreme Court. "Two bills proposing to outlaw abortions after a fetal heartbeat is detected, as early as six weeks into a pregnancy, advanced out of House and Senate committees in the Mississippi Legislature this week. GOP Gov. Phil Bryant is pledging to sign either into law. "Efforts to pass similar bills are underway in Florida, Kentucky, Ohio, South Carolina and Tennessee."